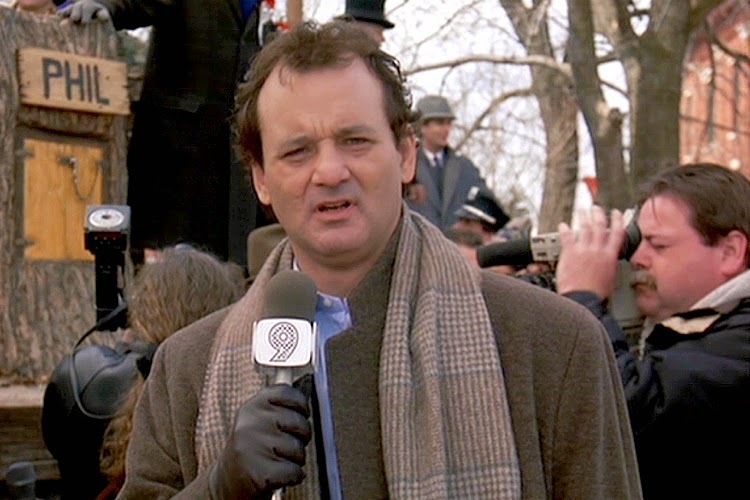 I have to admit, the Groundhog Day comparison works really well. But it's a good reminder that you can make informed decisions about what you want to do. The lesson of Groundhog Day is to keep trying until you get it right. That's a good lesson for mid-career academics. Keep trying different things: teaching approaches, research ideas, administrative duties, etc. It's never too late. Interested that you think applying for jobs is a drastic step. I have done it regularly and many people I know are always on the market, as a matter of course. Janice--informed decisions if you figure out the lessons! Anonymous--I like that "keep trying until you get it right." If we stop trying, then what are we doing except taking up space? profacero--That's admirable about applying for jobs. I'm very risk-averse, so that's why it seems drastic to me; also, the sheer amount of time it takes is staggering. But if someone's at a place that isn't a good fit, it would be a necessary rather than a drastic step. Being on the market as a matter of course: wouldn't that make them pretty unhappy all the time about where there are? Or is it that they're on the market all the time because they're at a place that doesn't value them? Being on market as matter of course -- I don't see that that would make anyone unhappy. If you are in a good place with your work and feeling like a good job candidate, going on the market is like any other professional activity. If you submit things for publication, wouldn't that make you pretty unhappy about your publication record so far? People go on the market for all sorts of reasons. For example, if you have kids to send to college, you need a job that will make it easier to afford it. It would be nice to be in a state that paid into Social Security. It would be nice to have a research library. It would be nice to have a PhD program in your field, or not be the only person in your field. There are all sorts of reasons to go on the market.